We have two SMART Training locations. The first is in Churchtown, Dublin 14 and the second is in Eastgate Retail Park, Little Island in Cork. 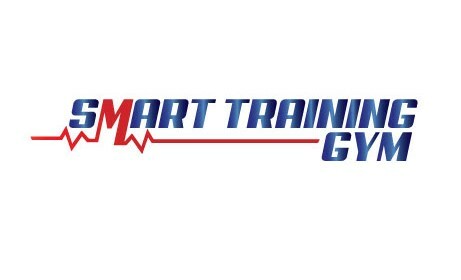 At SMART Training Churchtown and SMART Training Little Island, we’re a lifestyle facility for busy people with little time. We know you have to fit your exercise regime into an already-demanding schedule. But commit to us for just one hour at a time, two to three times per week, and we’ll get you results in as little as 30 days. We do this through the two strands of healthy lifestyle: enjoyable exercise, and smart nutrition. Your exercise plan will be tailor-made for you, following your initial free consultation with lead trainer Jonny. We will assess your general fitness, discuss what you want to achieve, and draw up a plan that will see you reach those goals. Whichever you choose, you will have a personal trainer on hand at all times, to guide you through exercise routines and techniques, and ensure you get maximum benefit from everything you do. You will also be inspired by the others participating in the same session. They will be ordinary people like you, already on their way to achieving extraordinary things – showing you what you can achieve too. They will not be high-class athletes or bodybuilders, creating an intimidating atmosphere as they operate at a level far above anything you would ever aspire to. Instead, ours is a fun environment to exercise in, with other ordinary people with goals just like you. You will also receive expert nutritional advice, including recipes galore for tasty low-fat meals packed with protein and other goodness, all under Sarah’s expert guidance. Most of these meals can be made with ordinary ingredients already on your regular shopping list, and many of them in just 15 to 20 minutes – showing again how everything we do is designed to fit in with your busy lifestyle. And you’re even allowed the occasional treat. SMART Training wants people to be gentle with themselves, not depriving themselves or bashing themselves if they fall off the wagon. Instead, just make a resolution to eat healthier the following day. We chose the title ‘Smart Training’ very carefully – as SMART stands for Specific, Measurable, Achievable, Realistic, and Time. We design a specific plan for you, which is both achievable and realistic and which can deliver measurable results in as little as 30 days. We also set a realistic time frame for you to achieve your ultimate goals. It could be just those 30 days, it could be three months, or it could be a year – it all depends on what you want to do. But no matter what that is, we’ll help you do it.